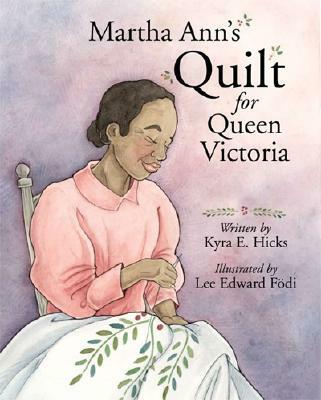 Author and quilter Kyra E. Hicks has great news to share: She sold out of copies of her wonderful picture book, Martha Ann’s Quilt for Queen Victoria. Yay! Go Kyra! Kyra is planning to post on her blog the results of the promotion. She wondered if other children’s book authors of color have used the Kindle free ebook offer. If you have, please let us know in the comments how it turned out. Find out more about Kyra E. Hicks here. Thank you again Brown Bookshelf for your support! This promotion had several thousand free downloads! I was blown away by the response, to say the least! I would be very interested to hear from other authors who may have used the Kindle Select program. This blog is such an important initiative! There’s so much beauty and possibility in books. I can’t wait to read this book on my kindle. I would love to buy this book in hard copy, but can find it only for the Kindle or used for about $160!! Is it available in hard copy new any loger?